Please join Canyon Cinema on the evening of Monday November 14, 2016 at New Nothing Cinema for the next installment in our Salon series. We’re pleased to welcome filmmaker Toney W. Merritt. Toney’s selection of his personal films span from his time at the San Francisco Art Institute to an excerpt of a current film-in-progress. Merritt and other local filmmakers were involved with the co-founding of No Nothing Cinema in 1982 at 30 Berry Street, San Francisco. This salon is co-hosted with curator Tanya Zimbardo. With special thanks to Rock Ross. EF, 1979, 16mm, color, silent, 4 min. Lonesome Cowboy, 1979, 16mm, b&w, optical sound, 0:5 min. By The Sea, 1982, 16mm, color, silent, 2.5 min. ASIAM, 1982, 16mm, b&w, silent, 6 min. Conquest Piece, 1982, 16mm, b&w, sound, 5.5 min. The Shadow Line, 1985, 16mm, b&w, sound, 13.5 min. Not a Music Video, 1987, 16mm, b&w, sound, 7 min. Welcome To The House of Raven, 1982–1998, 16mm transferred to video, b&w, 3 min. Vision Quests, 2006–2009, video, color, sound, 15 min. A Dreadful Day (sample), 2016, video, color, sound, 3.5 min. 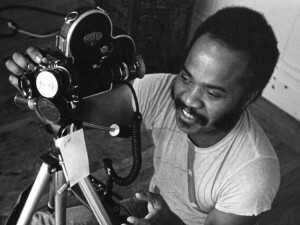 Toney W. Merritt has been an independent filmmaker for close to 50 years, completing over 30 personal films and videos; experimental, narrative and documentary. His films have screened at various venues such as the La Cinémathèque Française, Paris, London Film-Makers’ Co-operative, Anthology Film Archives, New York, Pacific Film Archive, Berkeley, the Oakland Museum of California, the de Young Museum, San Francisco Cinematheque, New Nothing Cinema, San Francisco, and the Ann Arbor and Mill Valley Film Festivals. Canyon Cinema currently distributes over twenty of his film titles spanning 1970 to 1998 and included Merritt in the Canyon Cinema Pop-Up (2013) exhibition at Kadist, San Francisco. He taught film production and digital editing at City College San Francisco for 18 years, and screenwriting for the San Francisco State University’s Digital Video Intensive Program. He was invited to present as a writer/director at the 2007 Squaw Valley Community of Writer’s Conference, and invited in 2008 to serve as a screenwriting instructor. Merritt was the Program Director for the Mendocino Film Festival from 2014–2015 and curated the inaugural Healdsburg Flix Mix Short Film Festival in 2016. Merritt has served on several Boards of Directors including San Francisco Film Arts Foundation. He has also served as a panelist for various festivals such as the SF International Film Festival and as a grant panelist for Independent Television Service, (ITVS) and the Rockefeller and Jerome Foundations. Merritt received his MFA in 1979 from the San Francisco Art Institute. He is based in Healdsburg, California.